Affectionately known as ‘the DRG’, the Design Realization Garage is an 8,000 sq. 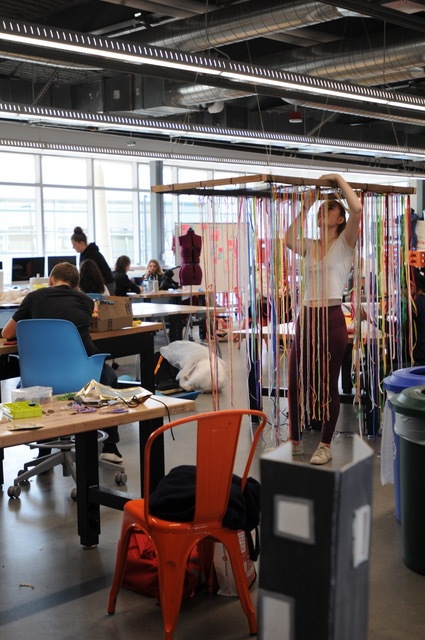 ft., two-story fabrication lab — an interdisciplinary space for students to prototype design ideas and create visual representations of their thinking. 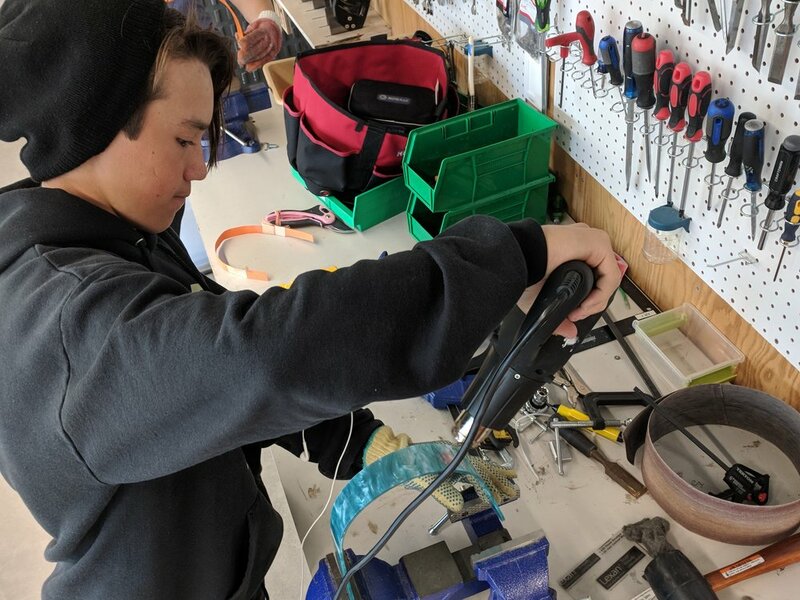 There are two floors equipped with rapid prototyping materials and tools such as laser cutters, 3D printers, soldering stations, film editing and design software, as well as an extensive equipment, power tools, woodworking and electronics. 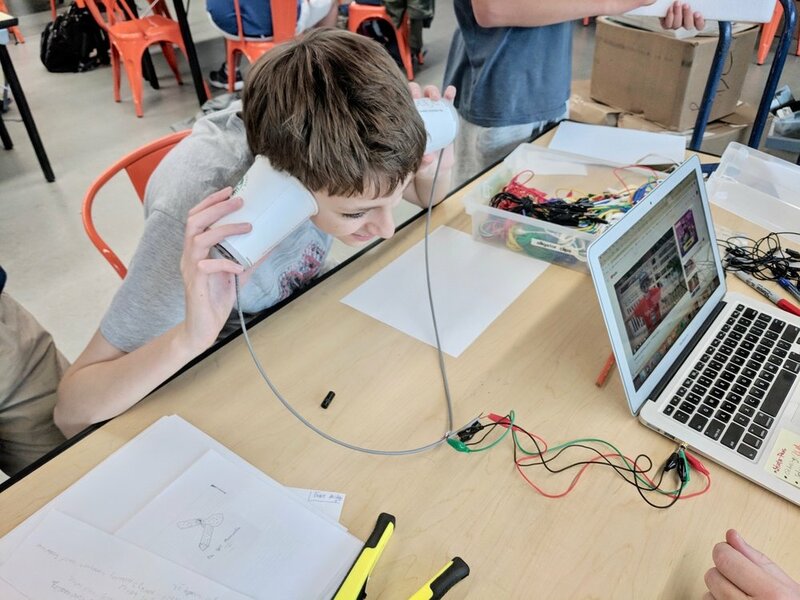 The space is shared by our competitive robotics team, and students in art and tech explorations, design lab challenges, independent projects, and those doing class assignments for the core curriculum. For example, your English teacher might ask you to teach your ideas to others by translating an argumentative essay into visual media. You can use all the resources in the DRG.